Well Camp didn’t go that well, I only managed to edit through 4,000 words for a whole host of valid and probably not so valid reasons, so I’m feeling a bit glum. Have signed up for two courses with Keris Stainton, one on editing and one on writing for teenagers. Hoping to get stuck into those this weekend. Also purchased this book which is a work of art and, I’m hoping, container of helpful advice. I will have a full novel ready by the end of this year….please universe and brain?! Posted on May 7, 2014, in IWSG and tagged Keris Stainton, Wonderbook, Writing courses. Bookmark the permalink. 9 Comments. It happens. The good thing is that you can still do it, just on your own time. The books looks great. Best of luck with the novel. I’m sure you’ll have it written by the end of the year. Thanks Silvia. Will let you know about the book. 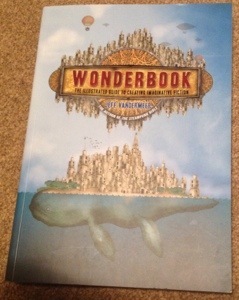 I have been drawn to Wonderbook, simply because it looks stunning! It isn’t really the sort of genre that I write, but was an unusual resource…I think just looking at the cover is enough to inspire me! I may have to treat myself! Hope you enjoy it Hannah. I’ve done Keris’s writing course and it’s brilliant – hope it goes well for you! Thanks Jim. Thought I saw your name in the group. Enjoying it so far. Don’t stress! Sometimes editing flows, and sometimes it doesn’t. 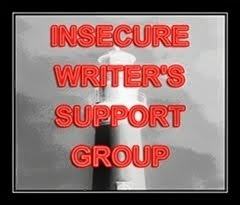 You will have a manuscript ready by the end of the year if you don’t give up.